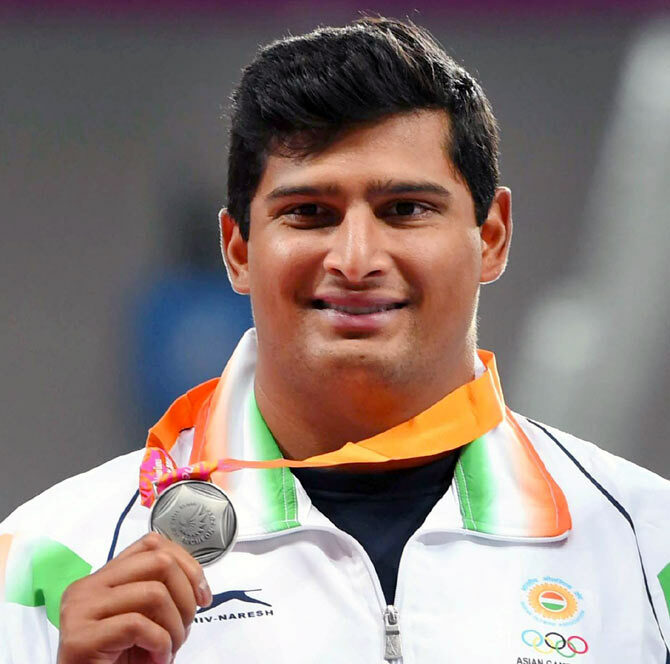 Vikas Gowda lost out to his old nemesis, defending champion Ehsan Hadadi of Iran, again as he settled for a silver in the men's discus throw at the Asian Games on Tuesday. The Indian thrower, who recently won gold in the Glasgow Commonwealth Games, had a best effort of 62.58 metres on his second attempt. 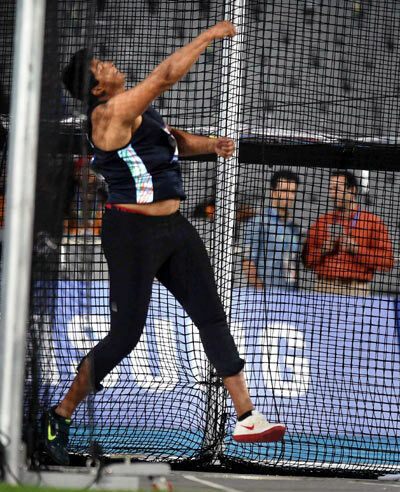 Hadadi, who was struggling for form this season but a pre-Games favourite, outperformed Gowda with a best throw of 65.11m to clinch the gold and run away with a hat-trick of titles. He also won gold in the 2006 and 2010 Asian Games. Gowda finished third in the 2006 Doha Games. The Iranian, who holds the Asian record of 69.32m, had better throws than Gowda’s 62.58m four times, registering 64.89m, 63.77m and 64.47m in his fourth to sixth attempts. Gowda, who won gold in Glasgow, registering 63.64m, had three foul throws in his last three attempts. The Indian has a season's best of 65.62m while his personal best -- also the national record -- is 66.28m. It was a case of Gowda hitting the Hadadi hurdle once again. He has done better than the Iranian only once in 17 clashes between the two, including today's final. The lone instance when Gowda did better than Hadadi was in the Doha leg of the prestigious IAAF Diamond League meeting in May, when the Indian placed second and the Iranian seventh. Gowda finished eighth and Hadadi third in the New York leg of the Diamond League meeting in June. Meanwhile, Asha Roy failed to qualify in the 200m final after finishing third in heat number one with a below-par timing of 23.96 seconds. She has a season's best of 23.75secs and personal best of 23.59s. Image: India's Vikas Gowda in action.